Taiwan is an island nation located north of the Philippines and southwest of Okinawa, Japan. When viewed from the map, Taiwan is shaped like a sweet potato. 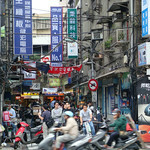 With over 23 million people living in Taiwan, it is one of the most densely populated countries in the world. The country is divided into four main regions and several small outlying islands. These for regions are as follows: Northern Taiwan, Central Taiwan, Eastern Taiwan and Southern Taiwan. 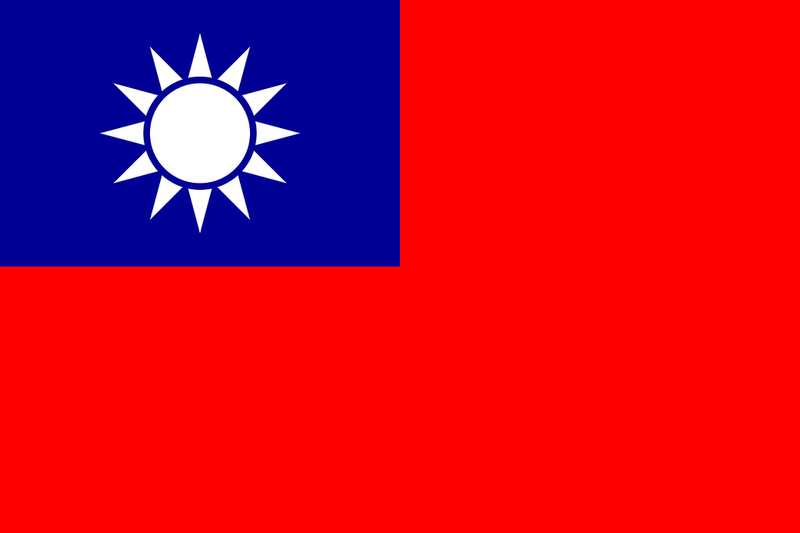 Taiwan is a sovereign state governed by the Republic of China. Check out this full guide before you travel to Taiwan. Aside from a booming metropolis district found mostly in its capital city of Taipei, Taiwan features a lot of tropical and lush rainforest. It also boasts of a vibrant culture and a flourishing entertainment hub. Therefore, there are several options for foreign tourists looking to explore the country. The climate in Taiwan is mostly marine tropical. The summer is hot and humid, while winter time is relatively cold. If you are planning a trip to Taiwan, make sure you book from October to December. You might want to avoid traveling during typhoon season especially if you are traveling to the east coast of Taiwan since this is mostly affected by typhoon due to its proximity to the Pacific Ocean. 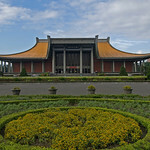 The history of Taiwan is pretty long that dates back to tens of thousands of years ago. However, modern history of Taiwan begun in the 17th century when the Dutch colonizers came to the island. This was followed by the arrival of the Han Chinese to Taiwan wherein they traveled across the Taiwan Strait from Chinese provinces like Fujian and Guangdong. The Spanish colonizers also tried to establish a settlement in Taiwan at some point during the 17th century. However, they were driven away by the original colonizers of the island, which would be the Dutch. The colonizers were eventually defeated by the loyalists to the Ming dynasty in 1662 after they lost control of mainland China. This prompted them to re-locate to the island of Taiwan. In fact, several parts of Taiwan ended up being integrated into the rule of the Qing empire. 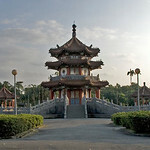 During World War II, Taiwan served as base for the Japanese. This explains the influence of the Japanese to the culture of Taiwan, particularly when it comes to imperial educational system. There were also some Taiwanese that were forced to fight for Japan during the war. When the war ended, China took control of Taiwan and has since been under the control of the Chinese empire. 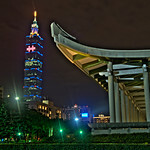 Today, Taiwan is named as one of the “Four Asian Tigers”, reocognized for their rapid development and economic success. Connectivity: If you’re a tourist traveling to Taiwan, you can take advantage of free WiFi. iTaiwan is a program launched and backed by the Taiwanese government that offers 4,400 free WiFi hotspots on major tourist spots and transportation hubs. Another option would be to buy a local SIM card so you can get data to connect to the internet and be able to make local phone calls. You can choose to buy a local SIM card from any of the top three telco providers in Taiwan: Chunghwa, Taiwan Mobile, and FarEast Tone. Obtaining your own card is relatively cheap. International Airports: There are four major international airports for travel to Taiwan: Taiwan Taoyuan International Airport, Taipei Songshan Airport, Kaohsiung International Airport and Taichung Airport. Visa Required? Taiwanese government grants visa-free or visa-upon-arrival entry for citizens of 45 countries. If you are to travel to Taiwan, make sure your passport is valid for the next 6 months. International Driver’s License Accepted? If you have a valid international driving permit, you can use that to drive in Taiwan for up to 30 days. Crime: Crime against tourists in Taiwan is rare and the rate is low. Threats of terrorism are non-existent and there are no warnings issued. Electrical Adapters: Most electrical outlets in Taiwan are at 110 to 120 volts. If you are traveling from a country that uses other electrical sources, then you need to bring an adapter with you. Rail Travel: Rail travel in Taiwan is as efficient as many other modern cities in the world, such as those in Japan. They have a bullet train, or high-speed train service, that can zip from one city to another. Hence, this is a convenient way for traveling to other parts of Taiwan with tremendous ease. The HSR or high-speed rail has the capacity to travel up to 180 km/h. Car Travel: There are several car rental companies in Taiwan, which is a good option for travelers that want to explore on their own. 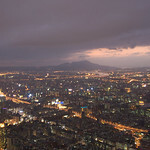 Since there are two sides to Taiwan – one is the mountainous region and the other is the residential and industrial areas. Thus, there are some areas that are hard to reach by typical means of transportation and driving your own car is more efficient. The road conditions in Taiwan are perfect for driving. 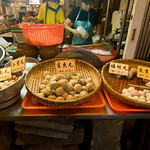 The cuisine of Taiwan is highly influenced by many regions and throughout its history. You will find influences of Chinese cuisine, as well as the Hakka and aboriginal influences in many of the country’s popular dishes. In particular, it has influences from the mid to southern Chinese provinces. For a brief period in its history, Taiwan fell under the rule of the Japanese. Hence, it is no surprise that there might be some Japanese influences in the country’s cuisine as well. There a re a few common ingredients that help define and distinguish the Taiwanese cuisine from its neighboring countries. The most notable ingredients used for cooking are soy, rice, seafood, and pork. Beef is rarely used in Taiwanese cuisine; in fact, there are many locals who refrain from eating it at all. But since the influx of the Chinese in the 1900s to Taiwan, they slowly introduced the beef noodle soup, which is now one of the most popular dishes in Taiwan. The subtropical location of Taiwan also enables the locals to have access to a wide array of tropical fruits, which is also incorporated into some of their dishes. Citrus fruits, melon, papaya, and star fruits are incorporated in some of the local dishes and desserts. The Taiwanese also like to incorporate a lot of spices into their dishes, which includes soy sauce, fermented wine, chili peppers, fermented black beans, sesame oil, rice wine, picked radish, peanuts, and more. Taipei 101: Once known as the tallest building in the world, Taipei 101 is one of the most popular buildings in Taiwan and is therefore a must-see. But beyond the fact that the building towers above Taiwan, the impressive engineering behind it is what makes it an amazing piece of work that is well worth the visit. Kenting National Park: Located in Hengchun Peninsula, this national park is another must-see when you travel to Taiwan. The park is located at the southern tip of Taiwan and consists of natural features such as white-sand beaches, caves, northern mountains, and coral reefs. National Palace Museum: If you love cultural attractions, this is a must in your list. The National Palace Museum allows you to look back on the history of Chinese Imperialism. 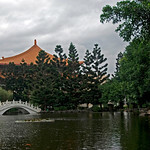 You will find the world’s largest collection of Chinese imperial artifacts in this museum. 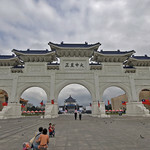 Chiang Kai-shek Memorial Hall: This is yet another one of the most photographed landmarks in Taiwan. Hence, you need to visit it when you travel to Taiwan. This is not just a tourist attraction but a national monument and landmark. 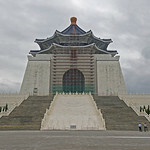 It was erected to honor the former President of the Republic of China – Chiang Kai-shek. 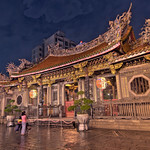 Lungshan Temple of Manka: This Chinese folk religious temple is located in Taiwan’s Wanhua District in Taipei. 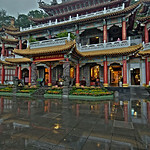 Built in 1738, this temple was built by settlers from Fujian. 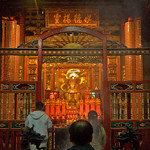 They did it to honor Guanyin during the time of the Qing rule. 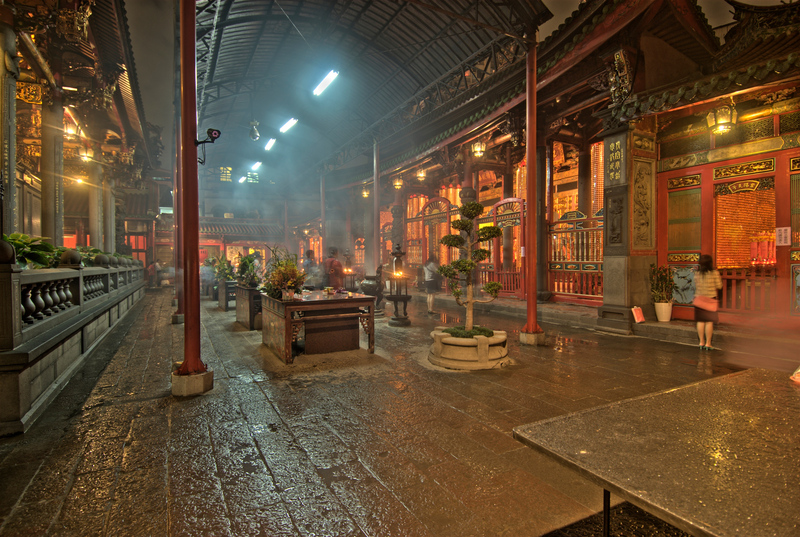 Fengjia Night Market: Cities in Asia are notable for their night markets. 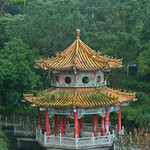 Hence, it is important that you visit one while in Taiwan. 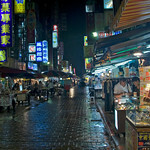 And there is no night market more popular than the Fengjia Night Market in Taichung, Taiwan. Top 10 Places to Visit in Taiwan – Top 10 Taiwan Travel Guide (Includes Taipei, Tainan, Sun Moon Lake, Taroko Gorge, & More). This no non-sense travel guide makes it easy for you to plan your travel to Taiwan. It has the complete list of things to see or do so you can make the most of your travel experience, without the hassle of planning and research. Lonely Planet Taiwan (Travel Guide). Listed as the #1 selling travel guide on Taiwan in Amazon, you can use this guide from the most trusted resource on travel – Lonely Planet – to discover what awaits you in Taiwan. Taiwan 25 Secrets – The Locals Travel Guide For Your Trip to Taiwan. If you are looking for a no-frills guide to exploring Taiwan, this book is a must-have. It provides you with a local perspective when it comes to determining what things to add to your itinerary so you can avoid the tourist traps and have a more authentic experience. The Food of Taiwan: Recipes from the Beautiful Island. As with many other destinations in Asia, food is an integral part of your travel experience. This book provides a glimpse into the local cuisine and what you need to try during your visit. National Geographic Traveler: Taiwan. 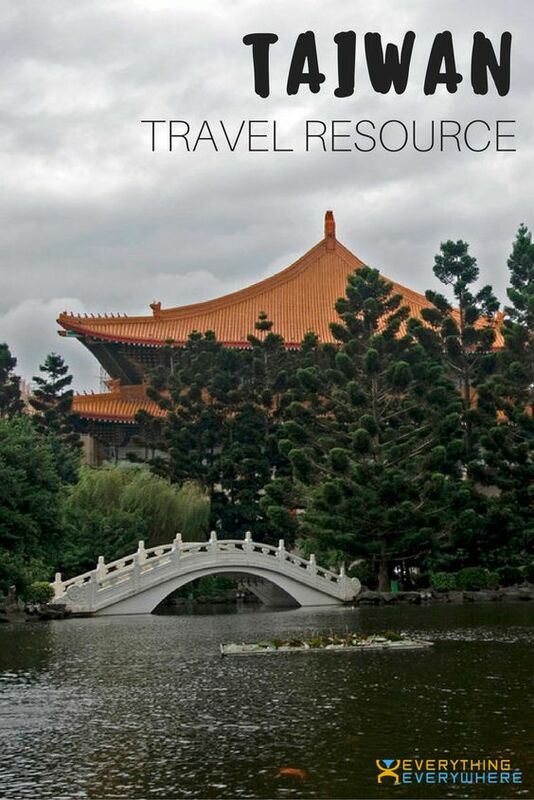 This is another edition of the travel guidebook series from National Geographic that offers expert advice on where to go and what to do when you travel to Taiwan if you are seeking an authentic experience.